This saree has the perfect mix of modern patterns and contemporary design.The body of the saree has bright Orange color with suiting border. The body has simple thin stripes running on it. 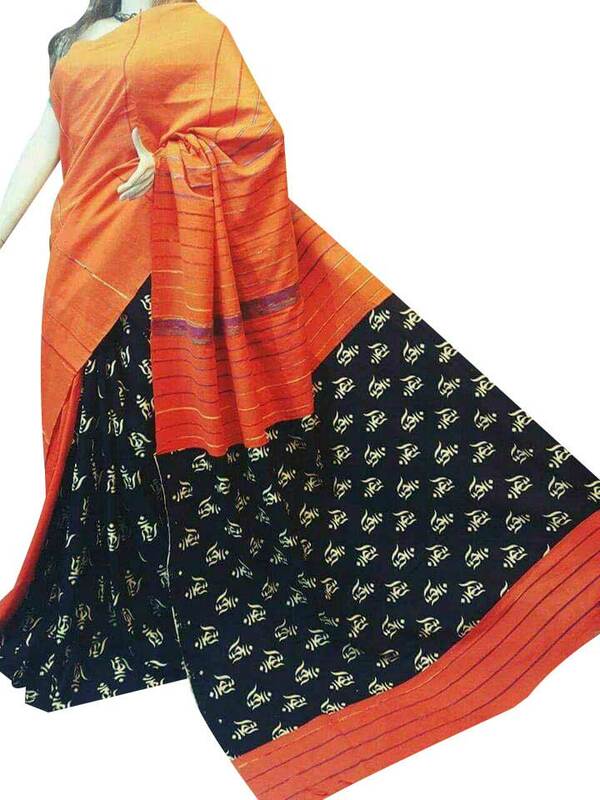 The Black colored pallu has beautiful Gurjari Print. The saree comes with suiting blouse piece.